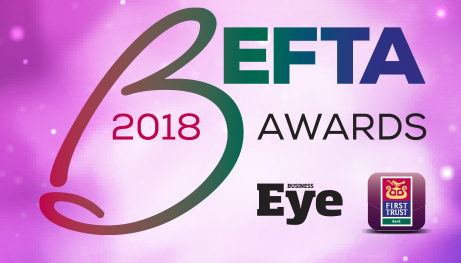 2018 is set to be a record-breaking year for the annual BEFTAs – the new name for the UTV Business Eye Awards – which have been revamped as a result of the partnership between Business Eye and lead sponsor, First Trust Bank. The total number of entries for the 2018 Awards, across 18 categories, is by far the biggest volume received during the 14-year history of Northern Ireland’s leading business awards. The 2018 judging panel sat down at The Resolution Centre, a meeting facility based at The Boat on Belfast’s Donegall Quay, to make the tough calls for this year’s awards. The event will take place on Thursday, 22nd November, at ICC Belfast, the new name for the Belfast Waterfront Conference Centre. “After supporting the small business awards for the past four years, acknowledging the best and brightest business owners and entrepreneurs from our small business community, it was only natural to join Business Eye in celebrating growth across our business community as a whole. A limited number of tables are still available for what promises to be a sparkling awards event attended by upwards of 600 of the great and good from Northern Ireland’s business community. In addition to the awards, hosted by Marc Mallett, guests will be entertained on the night by Scotland’s Drums n’ Roses and Re-Take That, the UK and Ireland’s top Take That tribute band. Northern Ireland’s leading business awards are back, with a new name but a well established reputation as the very best of their kind on the local business scene. The BEFTA’s 2018, an exciting new version of Northern Ireland’s longest running business awards, are the result of a partnership between the experienced team at Business Eye and lead sponsors First Trust Bank. Zero Waste to Landfill company ISL Waste Management is proud to sponsor a Business Eye First Trust Bank Business Award for 2018. On Thursday, 22nd November, 2018 Northern Ireland’s premier business awards will take place in Belfast’s Waterfront Hall and recognise the best of Northern Irish businesses and business leaders. We will be sponsoring the ‘Waste Reduction Project of the Year’ category for the third year running. The award will recognise business based environmental initiatives and projects which can show a clear impact on the wider environment. In 2016 Clements Coffee, CastleCourt Shopping Centre and Henderson Wholesale were nominated in the category. Highly Commended went to Belfast’s Castle Court, while The Henderson Group took the award. In 2017 it was supermarket chain Lidl who finished first. “ISL Waste Management is proud to be sponsoring this award and to be continuing our involvement with the Business Eye team. ISL is a supporter of responsible and innovative businesses in Northern Ireland and wishes luck to all those entering this year’s awards. The BEFTAs 2018, an exciting new version of Northern Ireland’s longest running business awards, are the result of a partnership between the experienced team at Business Eye and lead sponsor, First Trust Bank. The BEFTAs are a natural successor to the UTV Business Eye Awards which have been honouring our leading companies, organisations and business leaders for the past 13 years. This year’s revamped awards will offer local companies and leaders the opportunity to enter a total of 18 categories covering every aspect of business in line with growth, emerging trends and focus across the region. 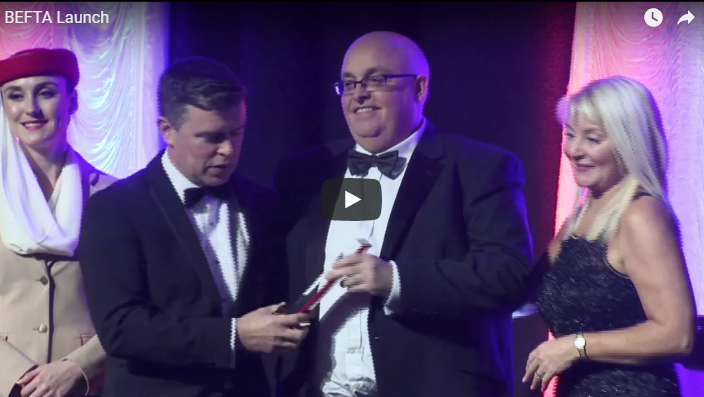 Last year’s awards showcased an impressive array of winners at a memorable awards night held at the showpiece Belfast Waterfront venue in front of a 600-strong audience. Newry convenience food manufacturer Around Noon lifted the coveted ‘Company of the Year’ award, while meat entrepreneur Peter Hannan was named as ‘Business Personality of the Year’. The Lifetime Achievement Award, meanwhile, was presented to the recently retired former Chief Executive of Belfast Harbour Commissioners, Roy Adair. Other key winners included Axiom Law in the ‘Employer of the Year’ category, Environmental Street Furniture in International Business with Wilsons Auctions named as ‘Family Business of the Year’. This year’s BEFTAs will take place once again at Belfast Waterfront on Thursday, 22nd November under its new name and backing of new lead sponsor, First Trust Bank, with a revamped category line-up for 2018. New categories include an award for Northern Ireland’s Medium/Mid-Sized Company of the Year, the region’s ‘Manufacturer of the Year’ and overdue recognition for our top Professional Services Firm as well as our leading Executive Support Professional. 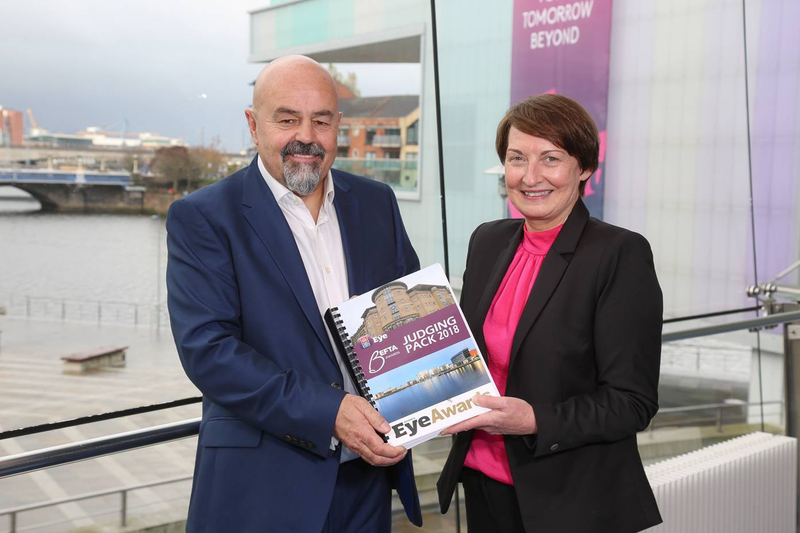 First Trust Bank, a key supporter of the Northern Ireland business community, has partnered with Business Eye on the annual Business Eye First Trust Bank Small Business Awards for the past three years, a successful partnership that now moves to a new level. 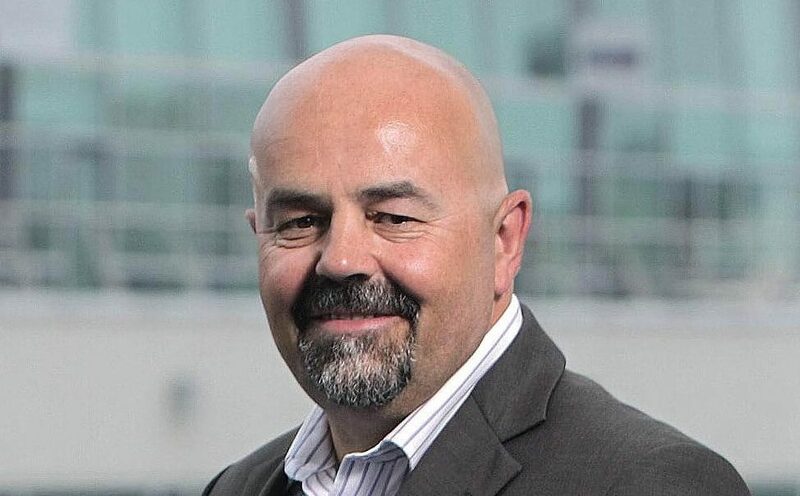 Business Eye Editor Richard Buckley says that the new BEFTA’s format will ensure that Northern Ireland’s most successful, and longest established, business awards increase in stature. “We’re returning to the very best venue available in Belfast, the excellent Belfast Waterfront, for the third year running and we’ll be organising a night to remember for our business guests and partners. The message from Business Eye to local businesses is to look closely at the award categories and get their entries in as soon as possible. 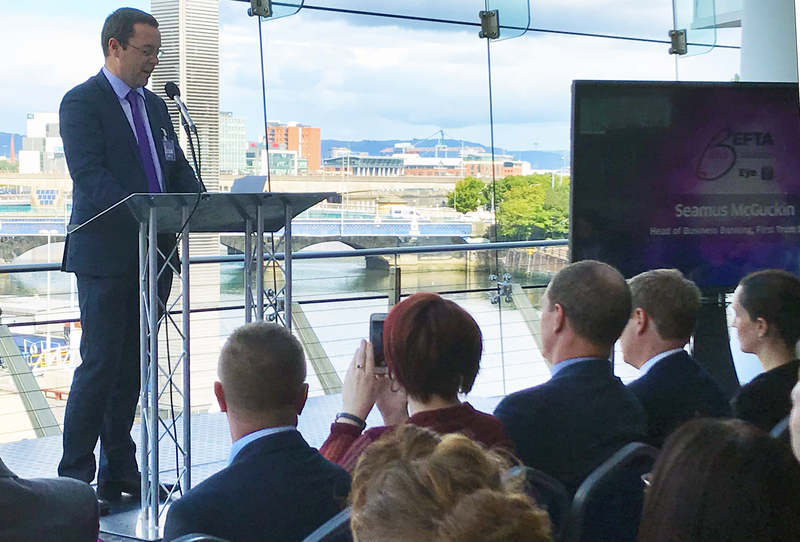 First Trust Bank’s lead sponsorship of the BEFTAs 2018 reflects the bank’s ongoing commitment to serving the corporate and business banking marketplace in Northern Ireland. 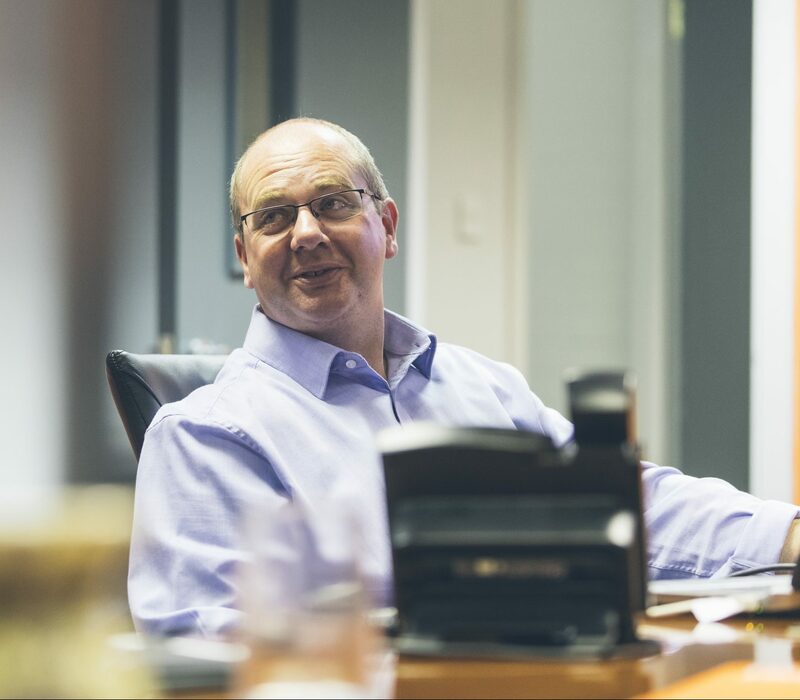 First Trust Bank has worked with Business Eye over the past three years on the highly successful Business Eye First Trust Bank Small Business Awards. For November 2018, it has taken over the lead sponsorship of the region’s leading and most established business awards, re-named The BEFTAs from 2018 onwards. 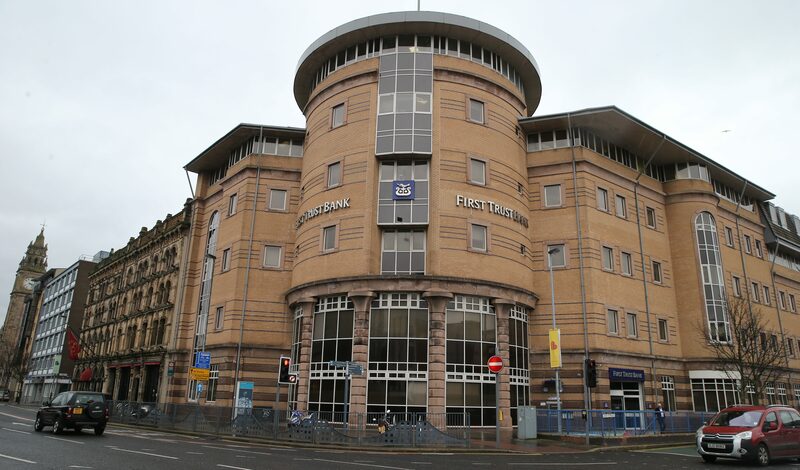 “First Trust Bank works with businesses of all shapes and sizes and in every sector of the Northern Ireland economy,” says Seamus McGuckin, Head of Business Banking at First Trust Bank, “So we are delighted to partner with the team at Business Eye team to revamp the well-established business awards. The awards will offer local companies and business leaders the opportunity to enter a total of 18 categories covering every aspect of business across the region. The BEFTA’s are a natural successor to the UTV Business Eye Awards which have been honouring our leading companies, organisations and business leaders for the past 13 years. Newry convenience food manufacturer Around Noon lifted the coveted Company of the Year award, while meat entrepreneur Peter Hannan was named as Business Personality of the Year. The Lifetime Achievement Award, meanwhile, was presented to the recently retired former Chief Executive of Belfast Harbour Commissioners, Roy Adair. Other key winners included Axiom Law in the Employer of the Year category, Environmental Street Furniture in International Business with Wilsons Auctions named as Family Business of the Year. This year’s BEFTA’s will take place, once again at Belfast Waterfront, on Thursday, 22nd November, with a new name, a new lead sponsor in First Trust Bank and a new line-up for 2018. First Trust Bank, a key supporter of the Northern Ireland business community, has partnered Business Eye on the annual Business Eye First Trust Bank Small Business Awards for the past three years, a successful partnership that now moves to a new level. And local companies and individuals will be able to enter no less than 18 different categories covering most aspects of the local economy and business life. New categories for 2018 include an award for Northern Ireland’s Medium/Mid-Sized Company of the Year, the region’s Manufacturer of the Year and overdue recognition for our top Professional Services Firm as well as our leading Executive Support Professional.